Six years ago it was the City War Memorial, Nottingham. 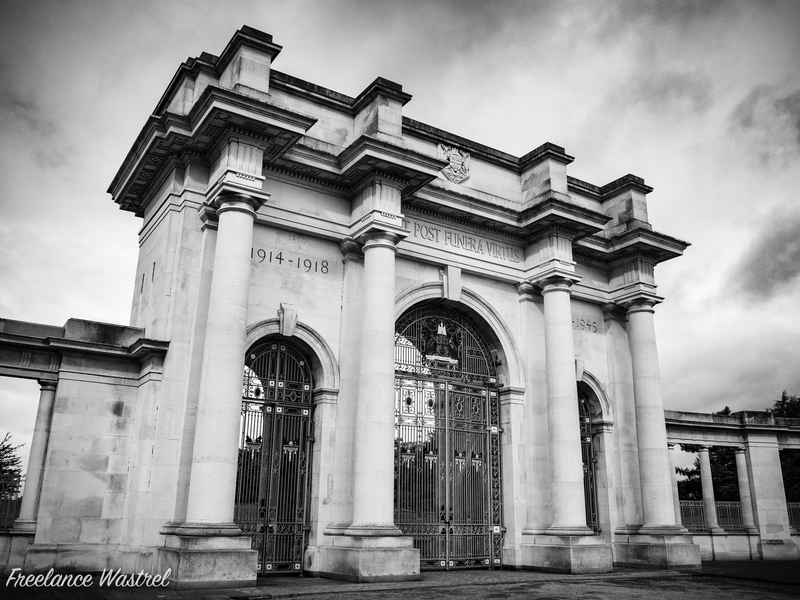 Designed by T. Wallis Gordon, City Engineer and Surveyor, the memorial was unveiled on 11 November 1927 to commemorate the ‘Men of Nottingham who gave their lives for their King and Country in the Great War. 1914 – 1918’. The memorial was later adapted to commemorate those lost in the Second World War. The Latin inscription ‘Vivit Post Funera Virtus’ is the motto of the City of Nottingham and means ‘Virtue Outlives Death’.